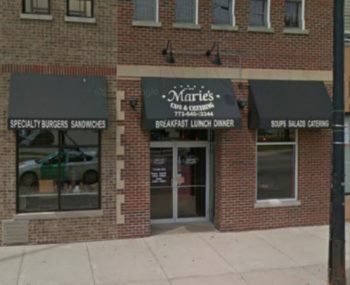 Marie’s Cafe and Catering, a popular stop for brunch in Mount Greenwood, will close for good at the end of the day on Sunday (Aug. 13) after more than five years of serving the neighborhood on 111th Street. Owner Dean Kochert says a rising rent cost and an increase in the minimum wage contributed to his family’s decision to close. “The rent is very high in this particular space, and then you combine that with the required minimum wage increases and the burden it has on payroll,” Kochert, who owns the restaurant with his wife, Allison Kochert, told Beverly-Mt. Greenwood Patch on Wednesday.